The fragrance plays an important role to recharge the soul of an individual that's why most of the peoples must apply it while going out. The originality of perfumes matters a lot as it should stay for a long time instead of vanishing very quickly. There are numerous national and international brands of perfumes and fragrances that classified as a body spray, deo sticks, deodorants, attars and many more. 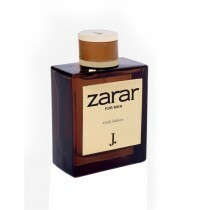 In Pakistan, most of the men and women love to apply a different type of fragrance which belongs to some known brands like Azzaro, Royal, Arabic, Hugo Boss, Jaguar, Dunhill and many more. The collection of perfumes & fragrances for men and women in Pakistan has been categorized separately as women love some light fragrance while men prefer a stronger one. 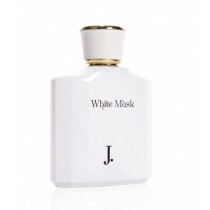 These brands meet the demand of fragrance lovers by bringing numerous collection of fragrance for both genders. The comprehensive range of perfumes increases the option and provide a flexible way to select the appropriate one from the vast variety. Varieties of Perfumes & fragrances for men and women in Pakistan is quite supportive for an individual that will let them pay for the right product and allow to represent the best side of their personality. 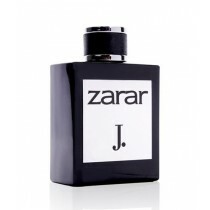 Some famous fragrance for men mainly includes Dior Eau Sauvage, Acqua Di Parma Colonia, Chanel Allure Homme Sport while numerous women love Viktor & Rolf Flowerbomb, Yves Saint Laurent Black Opium, Marc Jacobs Fragrances Daisy Eau So Fresh, Chanel Coco Mademoiselle Eau De Parfum, Tom Ford Black Orchid, and some other fragrance. These are only a few varieties of fragrance that makes their place at a high level within the shortest timespan but you can also find some more pleasant aromas that have been launched after great effort of reputed brand. The number of fragrances is rapidly growing from the last few years and it became enough tricky to explore the entire range of aromas in the limited time. There are hundreds of brands and thousands of aromas in a local market of Pakistan that creates that could confuse the fragrance conscious. Now it is not tricky at all as brands' image, consumers' feedback and effort of aromas' dealers already filter the best collection. An impressive collection of perfumes & fragrances for men and women in Pakistan is also available at some reliable online channels through which every Pakistani can buy the original one from its place. We come with a heart-winning collection of Perfumes & fragrances for men and women in Pakistan that will let you explore some ideal aromas either it belongs to an international and national brand. The originality of each product definitely meets the expectation of our customers and enforces them to buy some more products from our e-commerce store. The process of placing an order is enough easier while multiple payment methods will also let you pay as per your convenience. If you have any ambiguity regarding the product and service then freely contact us at the working hours and get the right update from our responsive team.